Despite finishing the season with a disappointing record, the Magic spent the year developing their young talent and steadying the foundation to improve in years to come. When the Orlando Magic traded Dwight Howard and all the various trade chips were scattered throughout the league, many thought they drew the short straw. Two years later and the Magic might have been dealt the best hand in the deck. Howard left the Los Angeles Lakers after only one season. Likewise, Andre Iguodala spent only one season with the Denver Nuggets. Meanwhile, Andrew Bynum never even suited up for the Philadelphia 76ers and has all but fallen off the NBA radar after managing only 26 games this season between stints with the Cleveland Cavaliers and Indiana Pacers. Meanwhile, Arron Afflalo, Nikola Vucevic and Maurice Harkless, who were all acquired in the Howard deal, played valuable roles for Orlando this season. Afflalo lead the team in scoring with a career-high 18.2 per night, Vucevic ( 14.2 points and 11.0 rebounds per game – his second consecutive season averaging a double-double) continued to assert himself as the team’s centre for the future, while Harkless showed flashes of potential, averaging 9.6 points in the 52 games he saw at least 20 minutes of action and drastically improving his three-point shooting (up to 38.3% from 27.4% in his rookie season). Meanwhile, Jameer Nelson (12.1 points and 7.0 assists per game) and Tobias Harris (14.6 points and 7.0 rebounds) both were steadying hands when healthy. 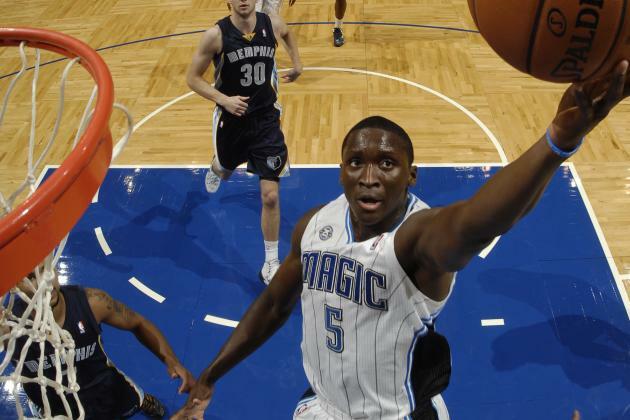 Orlando’s game plan for the season was clear from the get go – get experience into their youngsters and develop talent – with their only notable additions second overall pick Victor Oladipo and veteran forward Jason Maxiell. The Magic knew they had an inexperienced but exciting young core and they rode their talented youngsters throughout the season. The result wasn’t pretty – Orlando finished with a league third-worst 23-59 record, 25th in points per game (96.5) and were bottom third of the association in field goal and three-point percentage, resulting in the second-worst efficient offence in the league. However, the Magic did get valuable minutes into their talented prospects, with Oladipo (31.1 minutes per game), Vucevic (31.8), Harris (30.3) and Harkless (24.4) all playing at least 24 minutes a night. Not only did the aforementioned Afflalo lead the Magic in scoring, he also had one of the most efficient scoring seasons of his career, despite receiving a career-high usage rate as Orlando’s primary scorer. 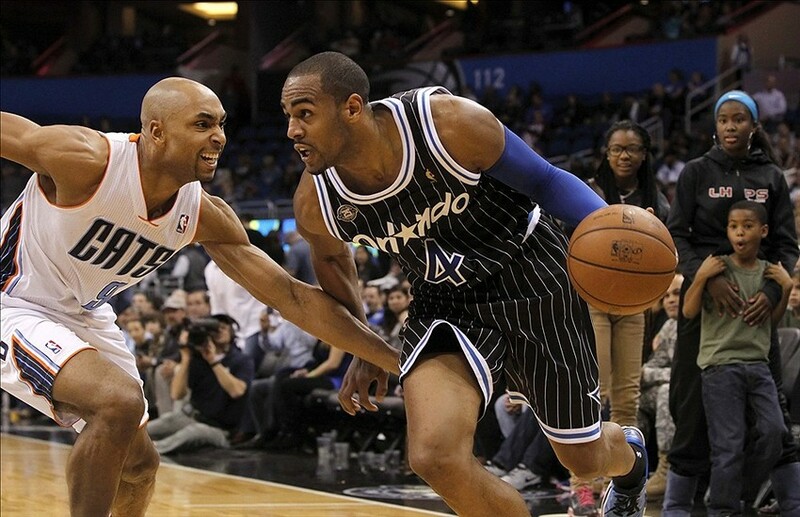 In his second season with the Magic, Afflalo shot an impressive 45.9% from the floor and 42.7% from beyond the arc – up from 30.0% last season and good enough for sixth in the league. Afflalo also recorded the most total rebounds and assists of his career during the season. Through his first 46 games, the former UCLA standout was averaging 20.0 points (on 47.1% FG and 42.4% 3FG) and was in consideration for the first All-Star selection of his career. Although, he did struggle through his last 27 games of the season, averaging 15.2 points on 43.4% from the floor and 43.2% from deep, as teams began to prioritise shutting him down on defence.. However, it is hard to fault Afflalo for his late-season fade out. He is a fantastic talent, but he is hardly an A-grade primary option for a team. A whole season of carrying a struggling team and facing off against the opposition’s best defender clearly took its toll by the end of the year. Meanwhile, despite his wonderful year for the Magic, Orlando dealt Afflalo back to the Nuggets for Evan Fournier and a 2014 second-round selection before the draft – a perfect example of how unpredictable the life of an NBA player can be. All things aside, a gallant performance as the Magic’s leader earns Afflalo team MVP honours in our eyes – a fitting farewell. In a relatively weak draft class, the Magic were one of the few teams to get their selection right when they opted for Oladipo with the second overall pick. The former Indiana Hoosier finished the season averaging 13.8 points, 4.1 rebounds, 4.1 assists and 1.6 steals (16th in the league) per game. His first-year performance saw him finish second in Rookie of the Year voting, receiving 16 first-placed votes and totalling 364 points – only 205 behind winner Michael Carter-Williams. There are several obvious holes in Oladipo’s game. Firstly, with Afflalo holding down the shooting guard position in Orlando, Oladipo was forced to play out of position at point guard for most of the season – spending 59% of his minutes running the offence. This exposed his suspect ball security and he finished seventh in the league in total turnovers with 256 for the season. Meanwhile, his shooting could also stand to improve – Oladipo hit just 41.9% of his field goal and 32.7% of his three-point attempts. Developing a floater (24.4% from 3-10 feet) and a cutting down on the long jumpers (33.3% from 10-16 feet and 38.1% from 16 feet to 3-point range) would help improve his efficiency. Regardless, much like it was for his team as a whole, the 2013-14 season was about learning and growth for Oladipo. He showed his potential and diverse game on many occasions – notching between 20-39 points 12 times, dishing more than 10 assists six times, grabbing 5-9 rebounds 27 times, taking more than five steals four times and recording seven double-doubles and a triple-double during the season. 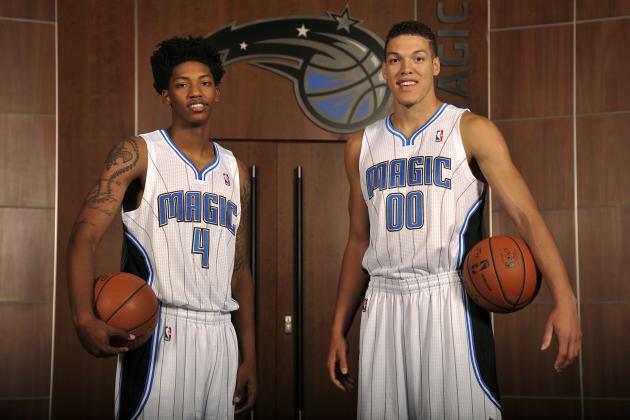 Orlando could have been considered one of the biggest losers coming out of the draft lottery. After entering the lottery with a 46.9% chance of landing a top-3 pick – ensuring the availability of one of Andrew Wiggins, Joel Embiid or Jabari Parker – Orlando was relegated to selecting fourth, thanks to the ever-lucky Cavaliers jumping from ninth to first overall. However, the Magic were still able to select a talented prospect despite their fall from the top-3, drafting Arizona super-athlete Aaron Gordon fourth overall – 12.4 points, 8.0 rebounds and 1.0 blocks per game for the Wildcats last season. Gordon is a phenomenal leaper with excellent length and will hopefully develop into a great finisher around the rim and shot blocker on the defensive end. He does struggle with his jump shooting, but that is not why Orlando selected him. Meanwhile, Orlando also received the 12th pick via Denver in another win from the Howard deal, which they sent to Philadelphia (along with a 2017 first-round pick and a 2015 second-rounder) for the rights to select Elfrid Payton 10th overall. Payton is a pure point guard, who can run the offence and allow Oladipo to permanently shift to the two guard – a move that seemed imminent after Afflalo trade. In his third (and final) season for Louisiana-Lafayette, Payton averaged 19.2 points, 6.0 rebounds and 5.9 assists per game. Meanwhile, the Magic are also owed a first round pick from Philadelphia and Los Angeles in the next three years. 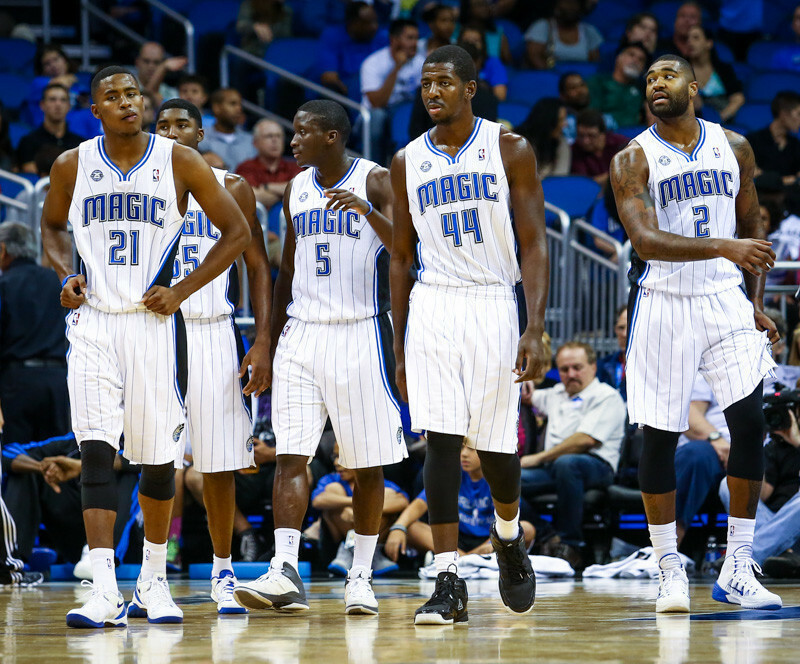 The Magic will also likely have cash to burn during the offseason. If they don’t pick up Nelson’s or Maxiell’s team options (worth $8 million and $2.5 million respectively), Orlando could have just less than $23 million in cap space to play with. They wont be in the race for top-line free agents like Carmelo Anthony or any of the Miami Heats’ Big Three, but the right balance of veterans to mentor their young squad would go a long way to increasing the development of their inexperienced core.